The Indian Army, which made known its requirement for a corner-shot capability that allows it to mount in-service 9mm pistols for firing from around a corner, a capability widespread with tactical special units in the US and Israel, has still not been able to progress the requirement. Recent encounters in J&K that have resulted in unacceptable casualty levels in close engagements have revived interest in the capability. The Army is seeking the capability specifically for its Rashtriya Rifles units deployed in Jammu & Kashmir, units regularly involved in firefights with militants holed up in residential areas. After expressing initial interest in such a capability in 2009 and 2012, the Army is now understood to be interested in giving this capability to its standard-issue 9mm pistols, which include the Austrian Glock 17, Italian Beretta 92 and German-Swiss SIG Sauer P226. The capability involves an enhancement kit integrated with an existing weapon system with a certain degree of dismantling. 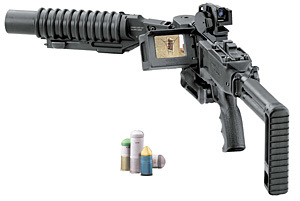 A video camera and monitor allows the user to point the weapon at a fulcrum around a corner and use the weapon to survey, target and fire accordingly. The Army also wants the cornershot capability for use with in-service under-barrel grenade launchers (UBGLs). The US-Israeli firm Cornershot is understood to have demonstrated the capability to the Indian Army on at least two occasions. 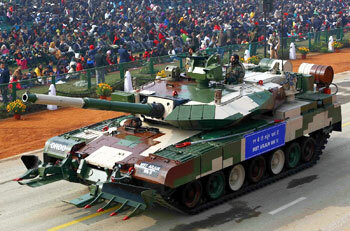 The Indian paramilitary forces, particularly those engaged in anti-Maoist operations have also evaluated the capability. Questions about the capability were also raised with infantry weapons providers at Defexpo in 2014 and Aero India in 2013.